Before you know it, it will be Valentine’s Day! 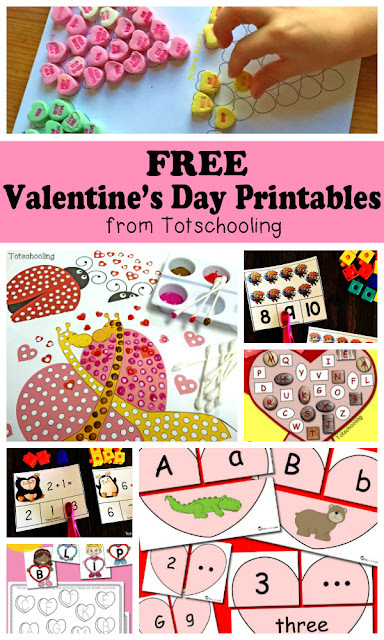 Do you celebrate Valentine’s Day with the kids? It is a fun theme to work in lots of learning activities with hearts, so pretty! 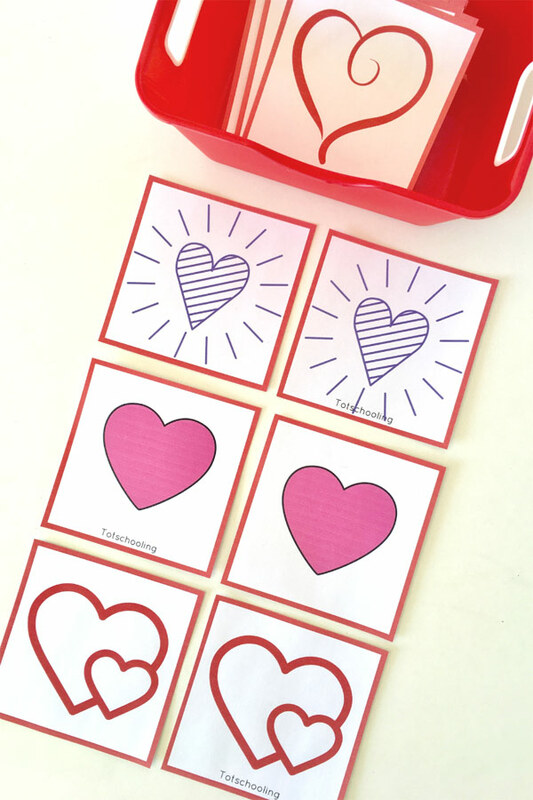 Here are matching heart cards for toddlers and preschoolers to play and learn with. Great for visual discrimination practice! Print the free pages in color. Laminate the sheets and cut out the cards. If you want to play a memory game where the cards need to be placed face down without seeing the pictures, rather print on cardboard to avoid seeing the pictures since it is a bit see-through seeing that it prints in color. Use as a simple matching game- Match the “friends”/pairs. Or, play the memory game as mentioned above where the cards are placed face down and a player picks up cards to see if it is the matching pairs. Use a chalkboard/white board- place cards on the opposite side of the board. Draw lines to the matching cards. 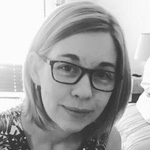 This works on pre-writing skills too! Hide-and-Seek game- hide half of the cards (one of the pairs of all the cards) around the room. Let the child find the cards and match it to the friend he/she has in his/her hand. Play with a friend- divide the cards between the friends and race to find the heart pairs. First one with all the pairs in hand- wins! Patterns- Divide the cards into two packs, one of a pair for you, the other for the child. Then, pack out a pattern with your cards, let the child copy the pattern with his/her cards. Draw- use the cards as a drawing prompt. 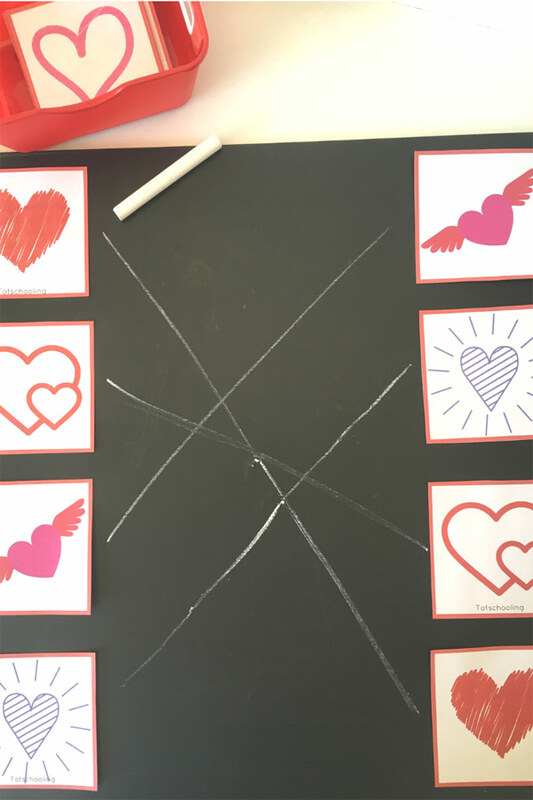 The kids can copy the cards and make their own matching worksheet by drawing pairs on opposite sides of the paper and then connecting the pairs with a pencil/crayon. Or, simple draw the hearts to make pictures. 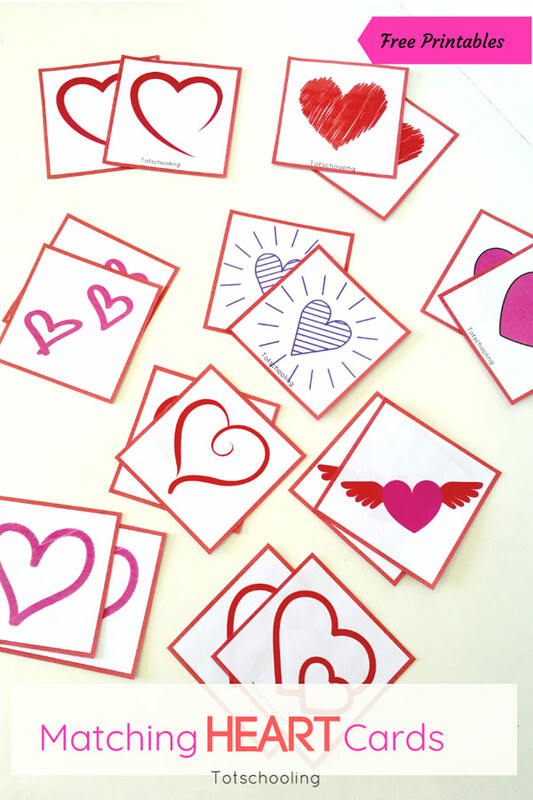 So many ways you can play and learn with these matching heart cards this Valentine’s Day! Greetings I am so thrilled I found your site, I really found you by mistake, while I was researching on Aol for something else, Nonetheless I am here now and would just like to say cheers for a marvelous post and a all round interesting blog (I also love the theme/design), I don’t have time to browse it all at the minute but I have book-marked it and also added your RSS feeds, so when I have time I will be back to read a lot more, Please do keep up the awesome job.